We are situated close to the sea and local beach. Start or end your day with an evening stroll along our natural coastline. Ngatitoa Domain with playing fields and open spaces. Mana Cruising Club and marina with an excellent collection of launches and keel sail boats. 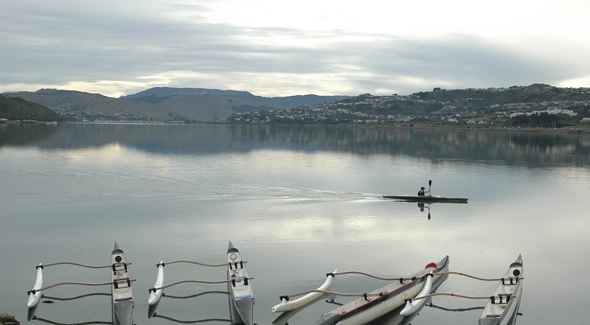 Porirua Harbour with beaches for fishing, walking and windsurfing. Aotea Lagoon a sheltered public park with picnic areas, adventure playground, walkways to enjoy. Te Ara Piko walkway runs along the shores of Pauatahanui Inlet stretching 1.8km through native salt marshes and wetland habitat. 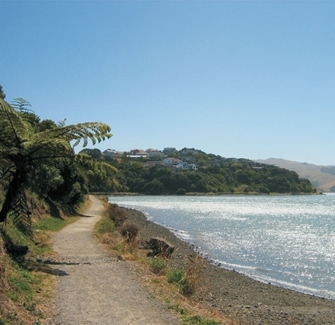 The Camborne Walkway is a sheltered flat walkway on the shores of Pauatahanui inlet with spectacular views. It is home to the colourful iconic Camborne boatsheds. Colonial Knob's stunning track clims through sheltered bush and then traverses hilltops to give spectacular 260 degree vies across the City, rural hills and out to Cook Strait. Ara Harakeke is a pathway that runs between Paremata and Pukerua Bay and is an easy challenge for a family walk or cycle. Te Papa Tongarewa - Museum of New Zealand – more than a museum – explore, engage, enjoy a great family outing. Westpac Stadium – our main venue for international sporting events. Pataka Museum Shop and Dealer Gallery – Unique, exclusive and beautiful art and design based gifts. NZ Police Museum – showcasing the history of policing in New Zealand, and lots of fun for the kids. Te Rauparaha Arena – Porirua’s main sporting venue. Arena Aquatic Centre – with wave pool, hydroslide and lazy river. A great family swimming complex. North City Shopping Centre - one of the Regions most popular shopping destinations. Lighthouse Theatre - relaxed boutique theatre and cafe. "The place to stay for friendly service and fine surroundings"